"Taiwan railways" redirects here. For the national railway of Taiwan, see Taiwan Railways Administration. Rail transport in Taiwan consists of 1691.8 km (as of 2015) of railway networks. Though no longer as dominant as it once was, rail transport is an extremely important form of transportation in Taiwan due to high population density, especially along the densely populated western corridor. In 2016, over 1.09 billion passengers traveled by rail in Taiwan, averaging 2.99 million passengers per day. The railways of Taiwan include conventional rail, rapid transit systems, and high-speed rail, as well as specialized railways for tourists and industry. Taiwan Railways Administration is an associate member and Taiwan High Speed Rail is an active member of the International Union of Railways (UIC), even though Taiwan does not have state membership. Rail transport was introduced to Taiwan in 1891 during its late Qing era. Push car railways were brought to Taiwan during Japanese rule and were in general service from 1895 to the late 1940s. All railway services are located in the main island of Taiwan. Outer islands including Penghu, Kinmen, and Matsu Islands do not have railways. The Taiwan Railways is administered by the governmental agency Taiwan Railways Administration. TRA operates both passenger service and the only freight service in the country. The main lines form a loop around the island that connect most of the country's major cities, with small branch lines at various points to the interior. TRA operates both intercity trains throughout Taiwan, and commuter services into the major cities. The Taiwan High Speed Rail is operated by a franchised private company called Taiwan High Speed Rail Corporation, it contains passenger services between Nangang, Taipei and Zuoying, Kaohsiung with a route that runs through Western Taiwan. Cities of Taiwan with rapid transit system. Urban rail transit systems are managed by local governments. There are currently four operators and one system under construction. Most of the urban rail transit systems use standard gauge 1,435 mm (4 ft 8 1⁄2 in), except Taipei Metro Wenhu line, which uses VAL system with 1,880 mm (6 ft 2 in) track gauge. The main line of Taoyuan Metro is called the Taoyuan Airport MRT, which connects Taoyuan International Airport, Taiwan's largest airport, with Taipei and Zhongli, Taoyuan. In addition to the five systems above, there were also plans to built rapid transit systems in municipalities of Tainan and Hsinchu. However, the Ministry of Transportation and Communications declined the proposals in January 2010 for budget issues and deeming it premature. Recently, most plans of new urban rail transit system plans have adopted light rail for budget efficiency. Industrial railways were built mainly in Japanese era for transporting industrial raw materials and products, especially sugarcanes for sugar industry, and lumber for wood industry in Taiwan. After the World War II, these industries declined significantly and these railroads were remodeled as tourist attractions in the beginning of 21st century. Only Magongcuo line in Huwei Sugar Refinery is still under industrial use, other five lines have been transformed to heritage railways. The Forest Railways were built for logging and timber industry, now recommissioned as tourist railway services in high mountains. The Alishan Forest Railway is currently the largest tourist railway networks in Taiwan, operated by Taiwan Railways Administration. The Luodong Forest Railway and Taiping Mountain Forest Railway were interconnected to transport the harvested lumber from Taiping Mountain to Luodong, Yilan and transferred to major railway system of Taiwan. Now only a short 3.9 km (2.4 mi) section near Tiansongpi Station are operating. Wulai Scenic Train was originally tracks for rail push trolleys, now runs a light automotive for tourists. The earliest railway in Taiwan was completed in 1893 under the auspices of Governor Liu Mingchuan during the Qing Era and rebuilt by the Governor-generals during the Japanese Era (see Taiwan Railways Administration§History). Since then, major railways in Taiwan have followed the 3 ft 6 in (1,067 mm) gauge standard. The Taitung Line was built during the Japanese Era with 2 ft 6 in (762 mm) gauge, but since 1982 it has been converted to 3 ft 6 in (1,067 mm), while the Alishan Forest Railway and the majority of Taiwan Sugar Railways are still 2 ft 6 in (762 mm) railways. The Taiwan High Speed Rail and all rapid transit systems use standard gauge track. Because of the Taiwan's extensive rail network (including many now defunct industrial narrow gauge lines which provided passenger service to rural areas), railways in Taiwan often have a romantic connotation, especially amongst the older generation who remember growing up when rail travel was the primary means of transportation between cities in simpler (and less prosperous) times. Many remember leaving their hometowns to attend school in far away cities by train or leaving via train to perform their compulsory military service. This nostalgia has been capitalized upon in recent years through the introduction of various items such as "nostalgia railroad ekiben" (懷舊鐵路便當), claimed to be authentic copies of the box lunches that were once served aboard trains. There is also a sizable network of railway fans in Taiwan which has increased with the recent trend of Taiwanization; the culture of the railway fans in Taiwan is also strongly associated with that in Japan owing to strong Japanese influence on Taiwan’s railways ranging from the colonial legacy of Japan seen in Taiwan’s steam locomotives to the basis of the Taiwan High Speed Rail on the Shinkansen. Some prominent railway enthusiasts in Taiwan include meteorologist Dr. Hung Chin-Wen and assistant professor Su Chao-hsu of the National Kaohsiung University of Hospitality and Tourism. ^ a b "鐵路重要參考指標統計表". Ministry of Transportation and Communication, ROC (in Chinese). Retrieved 1 December 2017. ^ "Table 2-1 Passenger Traffic of Railway in Taiwan Area". Ministry of Transportation and Communications. Retrieved 1 August 2017. ^ "捷運夢碎！八條輕軌遭退回！公車難經營 捷運路遙遠 台灣大眾運輸 阻礙重重！(MRT Dreams Shattered, Eight Light Rail System Proposals Declined)". Public Television Service. 19 January 2010. Archived from the original on 25 April 2012. Retrieved 20 October 2011. ^ "Taiwan Train Travel". AsiaRooms.com. Retrieved 2 July 2010. ^ "Places to Visit". Council of Agriculture, Executive Yuan. Archived from the original on 9 October 2011. Retrieved 2 July 2010. ^ "Nature". Taiwan.com.au. Archived from the original on 1 December 2008. Retrieved 2 July 2010. 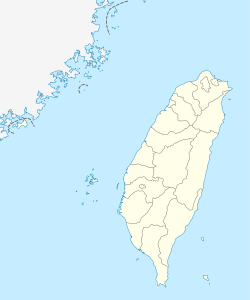 Wikimedia Commons has media related to Railways of Taiwan.